Now it’s time to extend the message for harmony, peace for Armed Forces of Pakistan. Peshawar attack and ISPR are also gracious the courage and bravery of those children towards the dirty terrorist. We lost some very good and intelligent people. Those were the Asset of Pakistan. We lost a large piece of our future Leader, stars, Support of Parents, our children, and for all that we are silently enduring. Ali Zafar says; for me, it took some time to go under the surface in that something like this can happen," As a parent, I felt fuming and shocked. I can't envision the pain and suffering of the families of those innocent children." 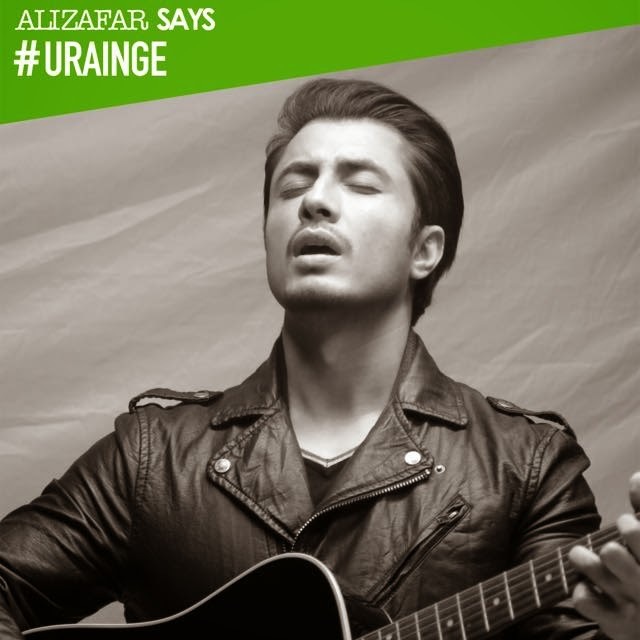 He ultimately decided to articulate his feelings and wrote the lyrics and music for the song "Urain Ge" (We Will Fly). At the start of the song, the mood is serious but as the rhythm rises the music transforms into something elevating, hopeful and promising hope for a better and bright tomorrow. We don't have a alternative but to take a amalgamated stand against terrorism," says Ali. The world needs to see that Pakistan is struggling and trying hard and it is fighting against terrorism. And Pakistan will rise out of this surely soon.We as a nation, however, did unite; stronger than ever and we promise to abolish this imminence from our society. The motivational song, which may become the anthem for hope and motivation for our nation, attribute many famous celebrities and personalities from all phase of the media. The stars who came together for the video include Fawad Khan, Bushra Ansari, Hamza Ali Abbasi, Aamina, Humayun Saeed, Sheikh, Saba Qamar, Behroz Sabzwari, Fahad Mustafa, Ali Azmet, Sajjad Ali, Shoaib Malik, Imran Abbas, Meesha Shafi, Bilal Lashari, Javed Sheikh, Marina Khan and Humaima Malick among others. The video’s poignant lyrics have been financed by Zafar himself and it has been directed by Bilal Khan. The time has come to face the truth. We must acknowledge to our faults and then act accordingly to make them correct, all of us together as one." Ali wants to go to visit Army Public School and meet the student and parents there and plan to take his video to the Army Public School. The earnings from his video will go to help out charities for the building of school and promoting education in Pakistan.